Lacrosse has a special place in the Canadian consciousness. For some time thought of as the country's national sport, it is officially Canada's national summer sport. It may be difficult to recall a time when the popularity of lacrosse outpaced all other pastimes in Manitoba. The first club in the province was formed in 1871 and, as historian Morris Mott notes, it seems safe to say that for about thirty years after 1876 no sport could match it in consistently arousing keen spectator interest.1Morris Mott, One Town's Team: Souris and Its Lacrosse Club, 1887-1906,Manitoba History, No. 1, 1981, p. 10. The development of lacrosse in Manitoba was inextricably linked with the growth of the relatively young country of Canada as well as the emergence of modern ideas about sport. The National Policy of Sir John A. Macdonald's government imagined a cross-continental rail link that would bring settlers to Manitoba and whose agricultural production returned to the east. The choice to build the railway through Winnipeg led to a boom in the city in the 1880s. "Since Winnipeg was not only the economic and political but the social and cultural metropolis of the province, it is not surprising that in almost all sports the first, the most noteworthy and the largest number of clubs were formed there. "2Morris Mott, "The British Protestant Pioneers and the Establishment of Manly Sports in Manitoba, 1870-1886," Journal of Sport History, 7 (3), Winter 1980, p. 31. An influx of new residents came west on the railway from Ontario and one of the things they brought with them was their sporting pastimes, including lacrosse. in the late 1880s certain games between the Winnipeg Club and the Ninetieth Club were expected to be so exciting that it was evidently not unknown for a Mayor to declare a civic half holiday so that no one need miss them, and as far as is known the largest crowd to attend any sporting event in the City's history prior to 1914 was the one, estimated at between eight and ten thousand people, that gathered in July of 1892 to witness a lacrosse game at the Exhibition Grounds.4Mott, "One Town's Team," p. 10. In late-nineteenth-century Winnipeg, sport was one of many cultural institutions imported into the growing city. Social societies for men and women as well as civic institutions such as museums and libraries - along with new sport clubs - were all intended to say something about the city, that it was becoming "civilized." In this climate, sport fit into a larger cultural milieu and the way in which it was practiced said something about the competitors. The most prominent sport organizations at this time were amateur clubs ("amateurism" is discussed below) and as lacrosse developed the Manitoba Lacrosse Association (MLA) was created in 1888 as the first provincial governing body. The MLA would ensure that the values and regulations of amateurism were upheld, however acts of professionalism such as paying players were not uncommon, causing strife between the MLA its various member clubs. Lacrosse quickly spread throughout Manitoba. It was not only in Winnipeg that the game was popular. Not only were the values of the amateur ideal attractive to sport promoters elsewhere but the ways in which a successful local sports team could represent an entire community was also a powerful lure. Brandon, which was settled in 1881-82, had its first lacrosse club by 1883. Throughout the 1890s a number of successful teams formed in rural Manitoba towns, including Portage la Prairie, Rapid City, Roland, Holland, Hartney, Miami, Minnedosa, Manitou, and Melita. But, as historian Morris Mott notes, "the rural community that seemed to show a particularly passionate interest in the game was Souris. "5Mott, "One Town's Team," p. 10. 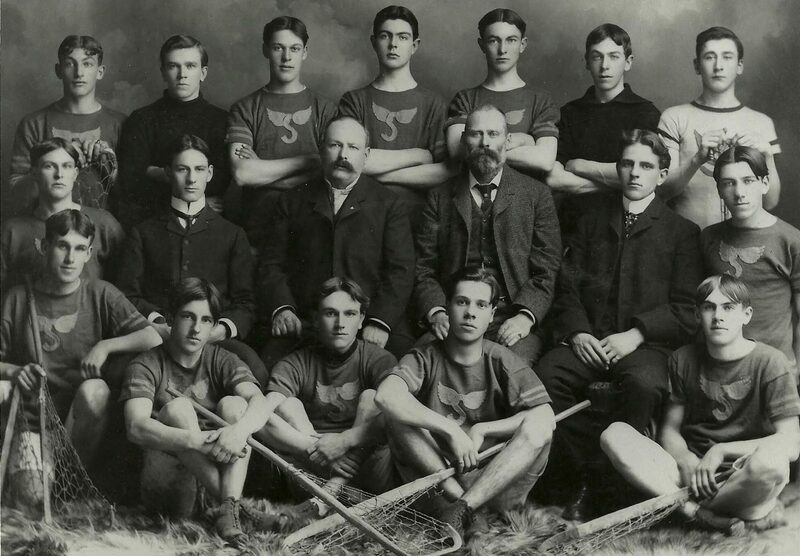 The Souris lacrosse team was formed in 1884 and was the provincial champion in 1887, with additional senior and intermediate championships in the first decade of the twentieth century. For most of those 20 years, following the local team was among the most popular pastime for residents of Souris, who often drove horse-drawn rigs with the team to matches in nearby towns or "took advantage of excursion rates that the C.P.R. offered for those who wanted to attend matches in Brandon or Winnipeg: as many as two thousand might attend games at home. "6Mott, "One Town's Team," p. 11. Although in places such as Carberry lacrosse started in the 1890s but never took hold, the Souris lacrosse club is an excellent example of the popularity of the sport in rural Manitoba in the late-nineteenth and early-twentieth centuries. It was widely felt that the club's success was one of the town's best advertisements. Moreover, how the game was played mattered as much as results, as it was felt that the skill level and preparation of the team reflected on the town. The ways in which Souris's players comported themselves defended the town against critiques from the urban journalists in Winnipeg who dismissed the Souris teams, and by implications its citizens, as "hardy sons of toil. "7Mott, "One Town's Team," p. 10. By the end of the nineteenth century, lacrosse in Manitoba was facing stiff competition for spectators from other summer sports: baseball, association football (soccer), and cricket. Additionally, the MLA dissolved in 1892 as a result of increased professionalism and in-fighting among member clubs. A number of different leagues and associations came and went over the succeeding years, including the short-lived Winnipeg Lacrosse Association (1892), the Southern Manitoba Lacrosse League (1894-5), and the Cypress Lacrosse Association (1896), which comprised teams from the towns of Cypress River, Glenboro, Treherne, and Holland. Stability returned to Manitoba lacrosse in 1896 however when 11 clubs joined together to form the Western Canada Lacrosse Association (WCLA). For a decade, the WCLA was largely successful. A juvenile league was added in 1900 and in 1905 the intermediate section (the level below senior) of the WCLA comprised five districts and 21 teams. But by 1905, there would only by six teams in the senior competition (there were 15 in 1901). The game remained strongest in Winnipeg, where for a time there were seven leagues and 32 teams. A number of prominent teams also formed during this era, including the Nationals, Shamrocks, Fort Rouge, and the Wellingtons. The pinnacle of this era occurred in 1904 when the Winnipeg Shamrocks toured the US playing matches in Chicago and St. Louis. The latter games coincided with that year's World's Fair, where the sporting competitions comprised the 1904 Olympic Games. 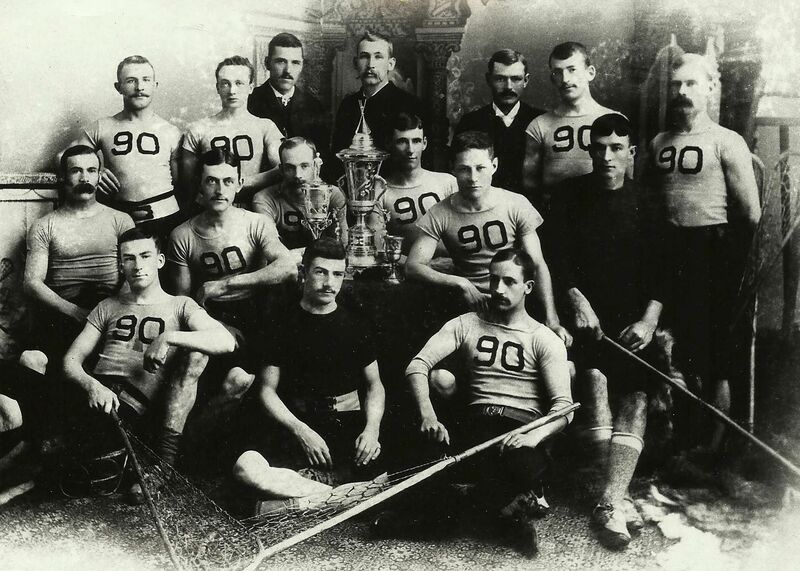 Although the decision to send the team to St. Louis was made by the WCLA rather than being the result of a national selection process, the Shamrocks brought home the gold medal in Olympic lacrosse. A year later, the Souris Lacrosse Club, the 1905 provincial senior champions, launched an ultimately unsuccessful challenge against the Montreal Shamrocks for the Minto Cup. While seemingly another near-successful moment for Manitoba lacrosse, this development revealed some of the fissures that were appearing in the game in the early twentieth century. It was becoming harder to sustain a vibrant amateur lacrosse infrastructure in rural communities. 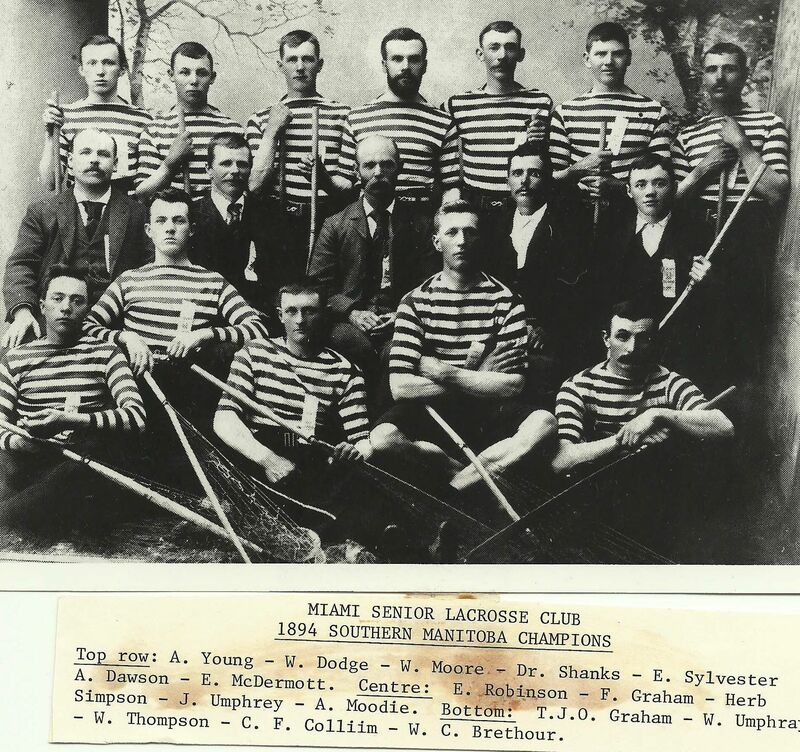 The team from Miami won the WCLA junior championship in 1907 because they arrived for a match in Carman, while their opponents, Holland, were unable to make the trip. So the Miami team won the championship by default without having played a game. A more significant challenge facing lacrosse in the province was the rising pressure from professionalism. 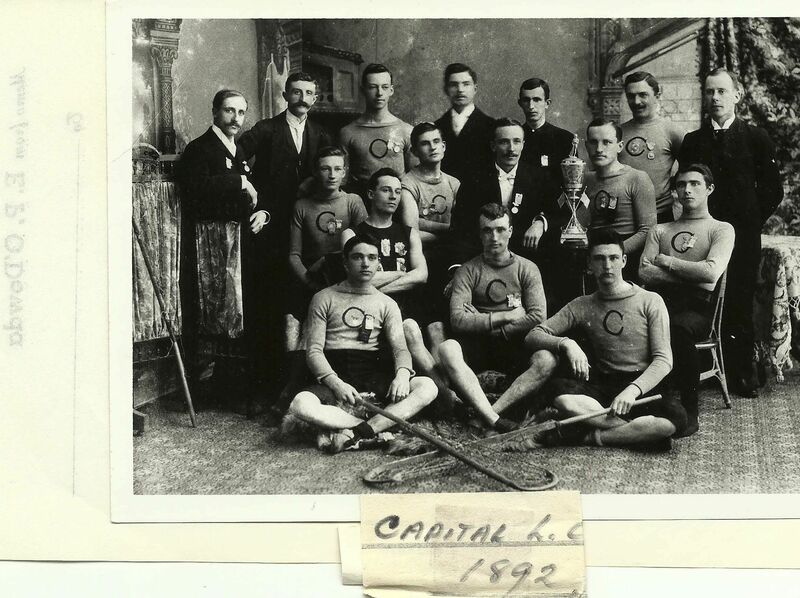 A year after their trip to Montreal, the team from Souris was disqualified from competing in the 1906 WLCA senior playoffs because they had challenged for the Minto Cup, which was considered professional. Beginning in 1899, the WCLA became more stringent in policing team rosters to eliminate professionalism and highlight instances where teams tried to use ineligible players. Such efforts had a cost however. 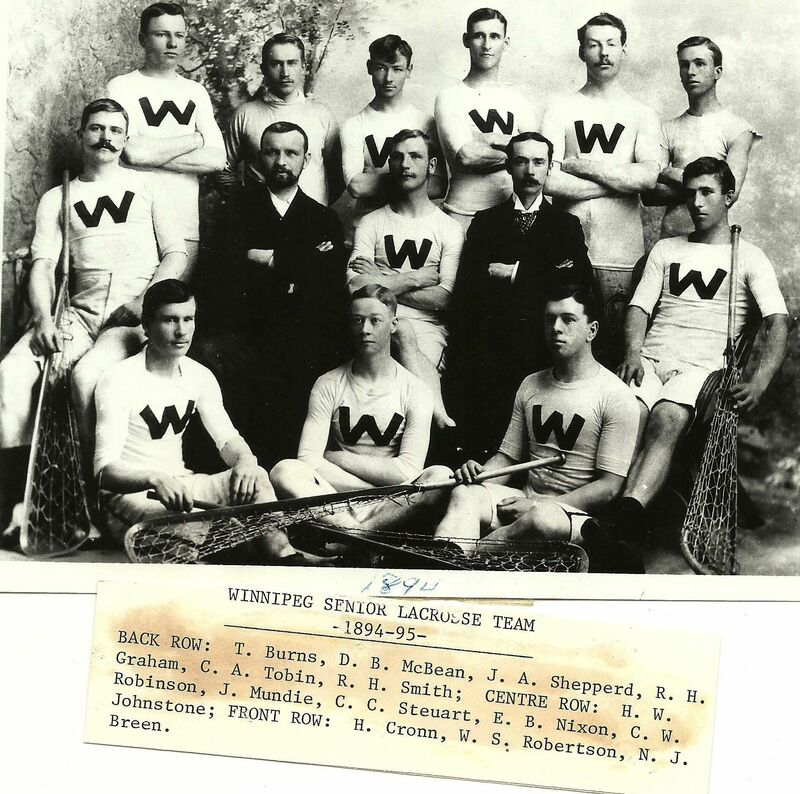 Just three senior teams competed for the WCLA championship in 1906, only one of which was from Winnipeg, which meant that no city competition took place that year. By 1908 there were only two teams, Regina and Souris, competing in the senior league, as the Winnipegs, Port Arthur, and Fort William decided to play semi-professional lacrosse, which made them ineligible for WCLA play. 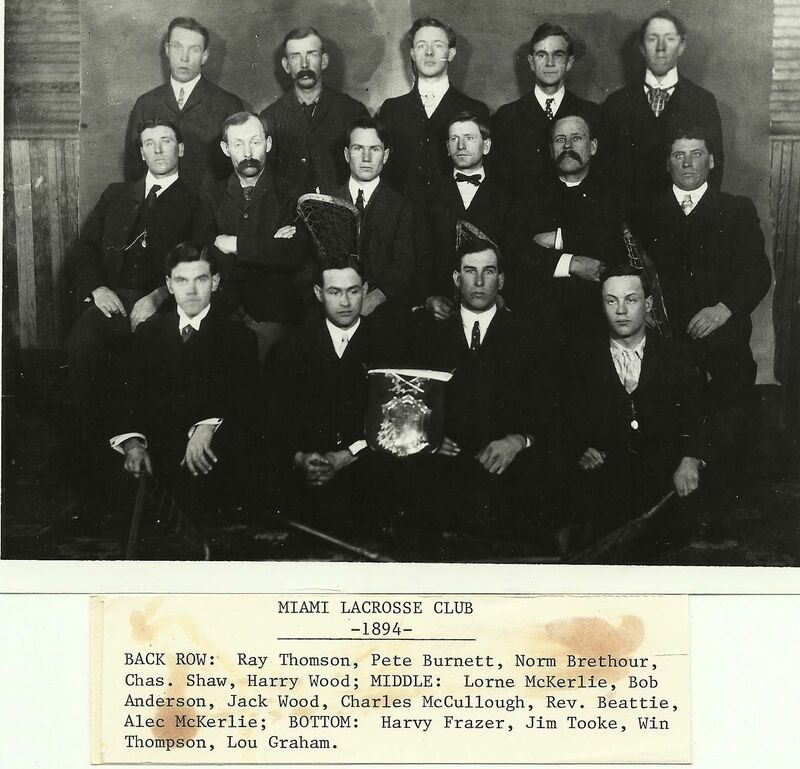 Finally, in 1909, no clubs entered the senior WCLA competition, so the senior WCLA championship was contested in a match between the intermediate (Shamrocks) and junior (Miami) champions. The path of an amateur lacrosse team in Winnipeg is not one of roses and the C.N.R. Lacrosse club has been kept in existence through the sacrifice of the officers and players, who have had to bear the brunt of all the drawbacks which surround an organization which has no gates from which to draw the sinews of war. The men have had in the four seasons of the club's existence, to pay all the expenses of club equipment, and anyone who has had experience with lacrosse knows that this is not a small item. During this era, lacrosse in Winnipeg was played throughout the city, from Dufferin Park and Main Street Park to the University of Manitoba site on Broadway. But despite the emergence of WALA and a provincial league, sport was interrupted by the First World War, which resulted in the disbanding of the senior league once more in 1916. Consistent with the amateur ideal, which saw in sport an opportunity to develop healthy, young citizens, WALA committed to keeping a junior program going throughout the war (with three teams: Pilgrims, Argos, and Tammany Tigers) and started a playground league in Winnipeg. Senior play was limited to one-day events on special occasions such as Dominion Day. Lacrosse would return after the war, but one of its most successful venues during this period was in Winnipeg's schools. 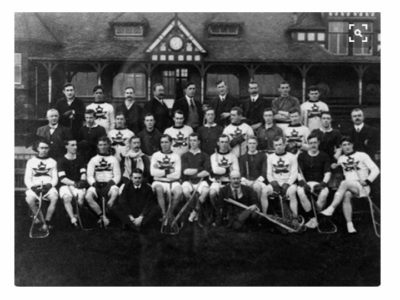 Lacrosse was among the very first modern sports to emerge in mid-nineteenth-century Canada. Among the summer pastimes, it was seen as "a purer, and a particularly Canadian, team sport. "8Nancy Bouchier, "Idealized Middle-Class Sport for a Young Nation: Lacrosse in Nineteenth-Century Ontario Towns," Journal of Canadian Studies 29 (2), Summer 1994, p. 96. Most of the early team sports - baseball was the most prominent exception - organized themselves according to the principles of amateurism. These included rules that required that players must never have received financial compensation for playing or coaching sport, never bet money on sport, and never played against professionals. But amateurism was not solely a set of regulations; it was a set of values that celebrated the selfless desire to dedicate oneself to sport without the necessity of being paid. These values allowed amateur sport to position itself, as historian Nancy Bouchier notes, as offering a solution to "the social, physical, and moral ills of society. "9Bouchier, "Idealized Middle-Class Sport," p. 89. By contrast, professionalism was viewed with scorn in some quarters for sullying the values linked to amateurism and for emphasizing spectacle and presumably encouraging behaviours such as drinking and gambling. Despite these associations and the penalties that teams and players faced for competing for play, many players were increasingly happy to earn a living through sport. To keep this under wraps, teams would often attract top players by finding ways to remunerate them (such as giving them fictitious jobs within the community) that did not technically defy amateur rules. 1. ↑ Morris Mott, One Town's Team: Souris and Its Lacrosse Club, 1887-1906,Manitoba History, No. 1, 1981, p. 10. 2. ↑ Morris Mott, "The British Protestant Pioneers and the Establishment of Manly Sports in Manitoba, 1870-1886," Journal of Sport History, 7 (3), Winter 1980, p. 31. 3. ↑ Alan Metcalfe, Canada Learns to Play: The Emergence of Organized Sport, 1807-1914 (Toronto: McClelland & Stewart, 1987), p. 208. 4, 7. ↑ Mott, "One Town's Team," p. 10. 5. ↑ Mott, "One Town's Team," p. 10. 6. ↑ Mott, "One Town's Team," p. 11. 8. ↑ Nancy Bouchier, "Idealized Middle-Class Sport for a Young Nation: Lacrosse in Nineteenth-Century Ontario Towns," Journal of Canadian Studies 29 (2), Summer 1994, p. 96. 9. ↑ Bouchier, "Idealized Middle-Class Sport," p. 89. "Of all the sports that have gripped this town, none have gripped it like the great national game of lacrosse did between 1885 and some years afterwards." Cited in Vince Leah, Pages from the Past (Winnipeg: Winnipeg Tribune, 1975), p. 160.